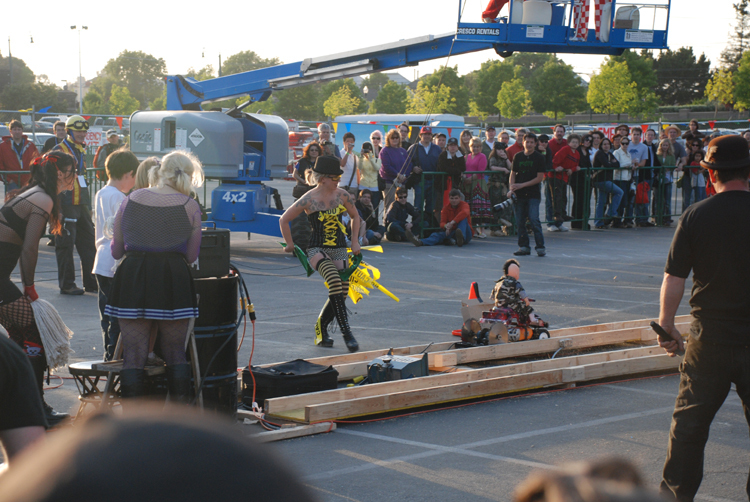 And now... it's time for power tool drag races! The mohawk baby got off to a slow start because it wasn't plugged in. The race occurs down the 75 foot length of a wooden track.